Foreign workers and tourists who use the country’s visa exempt entry provisions are the unwitting victims in a high-stakes blame game being played out in the wake of the Erawan shrine bombing on August 17. On Saturday morning Thailand border crossings along the Cambodia border, along with the Phu Nam Ron/ Htee Khee border crossing at Kanchanaburi crossing into Myanmar abruptly stopped allowing people to enter Thailand using the visa exempt entry method with some reportedly also not allowing people to depart and return (out-in border hop) to activate second or multiple-entry visas of any class. The instructions are said to have been issued from “someone high up in the immigration department” according to one visa service company operator who spoke on condition of anonymity due to the need to work with Thailand immigration officials on a daily basis. According to the visa service operator the affected Thailand-Cambodia and Thailand-Myanmar border crossing received the instructions by telephone late Friday afternoon. 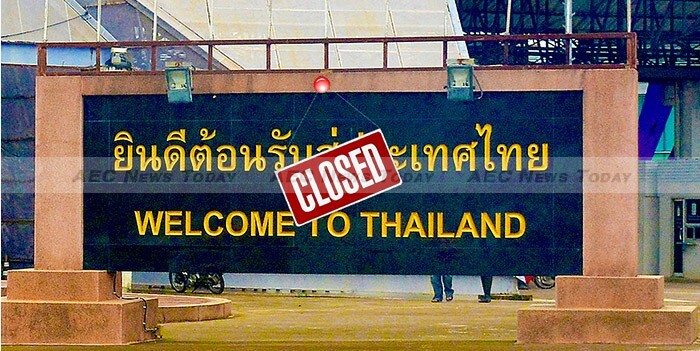 No mention of the abrupt change in policy was posted on the Thailand Immigration Department website, the move catching hundreds of tourists by surprise. Equally caught by surprise were the thousands of foreign expatriate retirees and others in Thailand who are required to exit and re-enter the country every 90-days, as well as those in the country on multiple-entry tourist, or business visas. 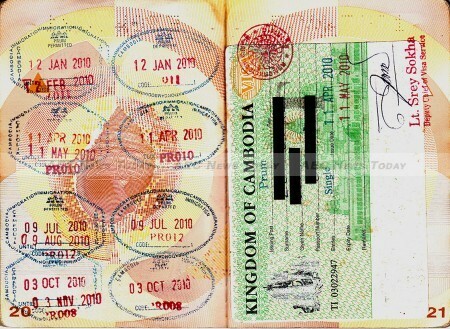 While visa service companies that cater for the out-in border hopper and tourists travelling overland into Thailand are the most visibly affected by this sudden change in policy, the unseen victims are the tens of thousands of Laotian and Vietnamese migrant workers who use the visa exempt entry method to stay long-term in Thailand, many of them working illegally. Also affected are thousands of Filipino domestic workers and English-language teachers who also use the visa exempt entry provisions to stay for extended periods of time in Thailand. According to the visa service agent “the number of tourists, long-stay expats and Filipinos who cross the border each day and come back using the visa exempt entry method is minuscule compared with the number of Vietnamese and Laotians who exit and reenter. “These companies [who transport the migrant workers] don’t have websites, they don’t advertise and you will have never heard of them, but each day they take between 400 and 800 people to the Phu Nam Ron/ Htee Khee border crossing and another 400 to 800 to the Ban Pakard / Phsa Prum border crossing. The abrupt closure of the Thai-Cambodian and Thailand-Myanmar borders follows the unusual public blaming and shaming of the Thailand Immigration Bureau last Wednesday by out-going national police chief, Police General Somyot Poompunmuang, himself a former deputy commander with Thailand Immigration Bureau. In the wake of the deadly Erawan shrine bombing on August 17 the Thailand Immigration Bureau, a division of the Royal Thai Police (RTP), has been singled out as being most responsible for the bomber and his accomplices having been able to enter Thailand to carry out the attack. Shortly after Adem Karadag was arrested at a Bangkok apartment complex where bomb-making materials and more than 200 (poorly) forged Turkish passports were allegedly discovered, investigators announced that the suspect had bribed his way into the kingdom. According to Police General Poompunmuang, who awarded himself and Bangkok bomb investigators a Bt3 million ($83,000*) reward for catching the bomber (despite it now being acknowledged that he is not), Mr Karadag paid $600 (Bt 21,613*) to enter Thailand “from a neighbouring country”. In the wake of the arrest and bribery claim six immigration police, including a local senior officer, from the Aranyaprathet/ Poipet border in Sa Kaeo Province 200km west of Bangkok were ordered to “transfer to Bangkok immediately”. Police General Poompunmuang then humiliated the Thailand Immigration Bureau and its head, Police Lieutenant-General Sakda Choenpakdee further by warning him, via a meeting with 259 of his subordinates that Police Lieutenant-General Choenpakdee was not at, that the immigration chief would be moved to an inactive post if he failed to rein in his men. Allowing illegal immigrants to enter the country in exchange for bribes, making it possible for human trafficking. Providing service at a substantial charge to extend the stay of foreigners in this country, such as arranging student visas for foreigners without actually attending any educational institutes or changing tourist visas into business visas for between Bt12,000-Bt15,000($333-$416) per head. Providing out-in or exit-entrance arrangements for foreigners to extend their stay for another 15- or 30-days at a time. Stamping seals to falsely claim the stay in Thailand of illegal immigrants to help them gain entry to third countries. Selling tor mor 6 documents to Laotians and Vietnamese who entered the country to work. Demanding excessive fees from foreigners in exchange for visa on arrival at Don Meuang and Suvarnabhumi international airports. According to Police General Poompunmuang about 6,000 visitors a day apply for visas on arrival (Ed: Not to be confused with visa exempt entries) and each was made to pay Bt300 ($8.33) in under-the-table fees. “The total amounts to Bt1.8 million a day and it is not known who has pocketed it”, he said. It is understood that the Thailand Immigration Bureau is seething at the public humiliation by the the national police chief as well as criticism from General Chan-o-cha. According to one immigration official who spoke on the condition of anonymity as he was not authorised to speak to the media, the police and military are looking for a scapegoat. 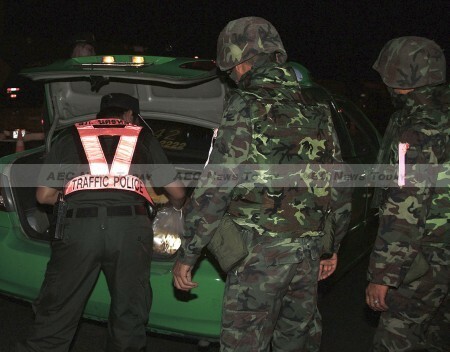 Acknowledging that the practices outlined by the police chief do occur “at some locations”, the immigration officer said border security is no longer a role carried out by the immigration police alone. “At every border entry point there are three, sometimes four layers of security personal. It has been that way since the military took over. At the Aranyaprathet/Poipet border immigration officers stamp the passport and admit visitors; a few kilometres down the road Thai army Rangers (Thahan Phran) stop all vehilces coming from the border and check passports against faces. “Ten kilometres later there is a Thai army checkpoint where vehicles are supposed to be emptied and passports and luggage checked. Maybe the [immigration] officers did something wrong, but why wasn’t it detected at these two other checkpoints? Why is immigration being blamed?”, he said. According to the visa service operator the security protocols described by the immigration officer are accurate. “At every entry point there are three or four layers of security. “At Ban Pakard it’s immigration, Rangers, Rangers and army; at Nong Khai it’s immigration, army, Rangers; At Phu Nam Ron it’s immigration, police, Rangers and Army; at Ban Laem it’s immigration, Rangers, army, and so on. Depending on which entry point at least one of the secondary security checks passengers are supposed to disembark from the vans and be face checked against their passport. Luggage is also checked, including duty free allowances. For larger buses the inspection is generally conducted on the bus, but they still check the luggage..
“The immigration police are annoyed that they are being publicly humiliated and made to look like the bad guys in all of this. The head of police accuses them of being corrupt, but makes no mention of the corruption inside the police. The easiest way for the immigration police to proceed is to not process the documents in the areas where they have been accused of being corrupt”, he said. According to the visa service operator who, by his own admissions is only a small player in the visa service industry he pays about Bt30,000 ($832) per month to the different police checkpoints along the routes he takes. “My drivers still get stopped and have to pay additional money – between Bt1,000 and Bt1,500 ($27.76* – $41.64*) – despite the fact that we are totally legal. For larger operators such as those who specialise in transporting Laotian and Vietnamese workers he said the “tea money” paid to Thai police each month was likely to be” at least ten times what I pay, though he admitted he had no proof to substantiate the claim. Like everyone else in the visa service sector the operator said he had no idea how long the current situation would last. “It could be days, it could be weeks or more. We really don’t know because we’ve been provided with no official advice of the change in the first place. “We only heard about the ban on visa exempt entries from our staff on the border who confirmed it with local immigration officers. Until the situation is clear we are only taking people to Laos. So far there has been no change there”, he added. Thailand officially offers visa exempt entries to passport holders from 50 countries and visa on arrival to the nationals of 19. Ordinarily holders of multiple entry visas are able to cross any Thailand land border (or travel by air), get stamped into the neighbouring country and turn around and come immediately back to reactivate their visa. As of Sunday, September 13 Thailand land border crossings at Phu Nam Ron and Ban Pakard, were refusing to admit people using the visa exempt entry method or people attempting to do an out-in visa hop, while the Thai border crossing at Aranyaprathet and Hat Lek were reported to be allowing bona fide tourists to enter using the visa exempt entry method, but were refusing reentry to people with multiple entry visas. 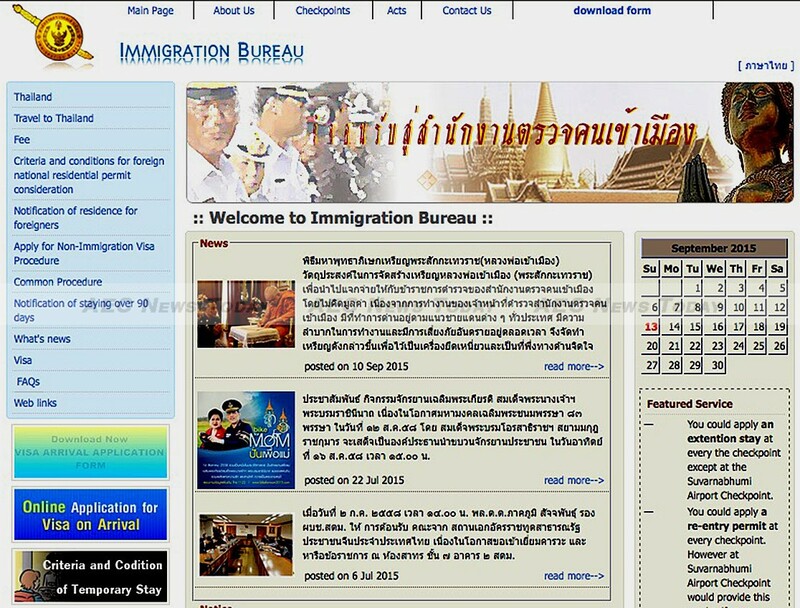 No one from the Thailand Immigration Bureau could be contacted for a comment due to the weekend. Update #1: This story was updated at 11.25 am on Sept 14, 2015: Thailand Immigration Bureau advises that visa exempt entry into Thailand has recommenced at all previously affected border crossings. People from eligible countries will be provided with 15- or 30-day visa exempt entries (depending on eligibility) enabling a maximum stay of no more than 90-days in one calendar year. Any time spent in Thailand on a tourist visa will not count towards the 90-day limit. People with multiple entry visas can also once again exit and reenter (out-in/ exit-entrance) Thailand to activate the second or subsequent allowable entries. No explanation was provided for the disruption over the weekend. At the time of writing AEC News Today has been unable to independently verify if the situation has returned to normal at all previously affected Thailand-Cambodia border crossings or the Phu Nam Ron/ Htee Khee border crossing at Kanchanaburi crossing into Myanmar. Update #2 This story was updated at 8.00am on Sept 15, 2015: Visa service agents were informed late Monday, September 14, that for the time being Thailand Immigration will not grant 15- and 30-day visa exempt entries through either the Ban Pakard/ Phsa Prum, Ban Laem/ Daun Lem border crossings. Only people with valid visas will be admitted. People with multiple entry visas will be allowed to depart and reenter Thailand to activate the remaining portions of their visas. The current ban on the issue of 15- and 30-day visa exempt entries is not believed to be affecting other border crossing into Laos PDR or Myanmar. AEC News Today is attempting to ascertain the situation at other Thailand-Cambodia border crossings and the Phu Nam Ron/ Htee Khee border crossing at Kanchanaburi. 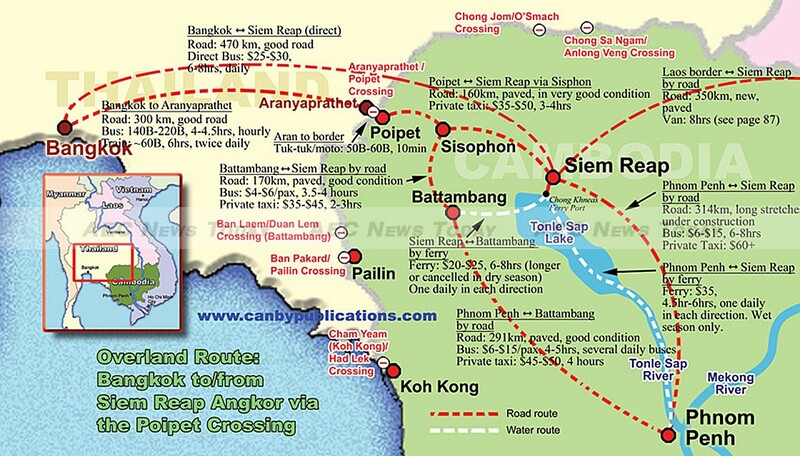 Update #3 This story was updated at 11.45pm on Sept 15, 2015: As of 8.00pm this evening Thailand-Cambodia border crossings at Ban Laem/ Daun Lem, Ban Pakard/ Phsa Prum, and Aranyaprathet/ Poipet were refusing to allow out-in or exit-entrance (border hop) visa exempt entries. Tourists able to show a valid travel itinerary, etc., are being allowed entry using the visa exempt method. People with a valid visa are being admitted. People with a valid multiple entry visa are being permitted to exit and reenter. The Thailand-Myanmar border crossing at Phu Nam Ron/ Htee Khee is not admitting any people, including those with valid Thailand visas. Update #4 This article was update at 12.30pm on September 18, 2015: AEC News Today has been informed that effective from today Thailand immigration officers at border checkpoints on the Thai-Cambodia border closest to Bangkok (in the central region which fall under the jurisdiction of Immigration Division 3) will not issue out-in stamps for visa exempt entry OR for holders of valid multi-entry visa’s, eg. double entry tourist visa’s, multiple entry non-immigrant B visa’s, etc. Several visa service agents have already announced that they have terminated all visa renewal trips to the Thailand-Cambodia border as a result. The announcement mimics procedures that have existed at the Phu Nam Ron/ Htee Kee border in Kanchanaburi Province since the beginning of the week. People requiring an out-in departure and reentry to activate a second or subsequent entry on a valid Thailand visa are advised to travel by air, or to use the Thailand border crossing into Laos PDR or Malaysia. The Mae Sai/ Tachileik (Myanamr), Ranong/ Kawthaung (Cambodia), Chong Chom/ O Smach (Cambodia, and Phu Sing/ Anlong Veng are reportedly not effected at this time. The situation described in this update is expected to last until at least the end of September. Update #5 This article was update at 10.30pm on September 23, 2015: Reports from Thailand-Cambodia border crossings at Ban Laem/Daun Lem, Ban Pakard/Phsa Prum and Aranyaprathet/Poipet indicate that out-in stamps are again being issued for Western, Japanese, and Russian passport holders in possession of valid double/multiple entry visas. The ban on out-in stamps is reported to still be in effect for citizens of Asean member nations irrespective of whether they possess a valid visa, while all nationalities are still banned from obtaining out-in visa exempt entry stamps. At the time of writing there was no information available on the Phu Nam Ron/ Htee Kee border crossing in Kanchanaburi. Additional updated information can be found on the website of Thai Visa Service.